I don’t drive a fancy-pants Bluetooth enabled, wi-fi capable ride. I do however own an iPhone and those fancy pants hands-free features are something I like in a car. 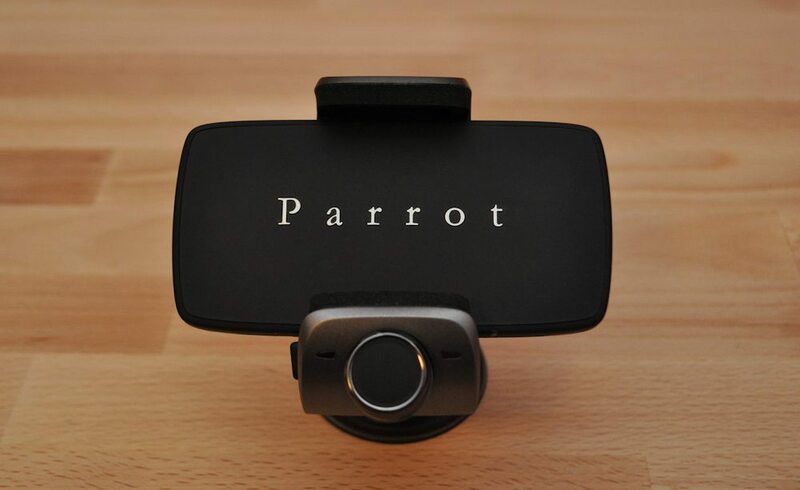 The Parrot Minikit Smart $129.99 is a very capable device that’ll add many of those fancy-pants features to that car you already own. The Minikit Smart features a spring loaded arm that is padded with foam to hold onto your smartphone. The arm pad can hold most cell phones; up to 2.7 inches wide. The device has a pretty good heft to it which makes it feel solid but may be a negative, we’ll get to that later though. The metallic finishing looks great and the panels coated in soft touch material feel nice and help with grip. The central knob placed right at the end can be used to make selections and it feels nice and works great. The Minikit Smart also has USB connections on the right side for charging the kit and your cell. One great feature of the Minikit Smart is its microphone which can extend out of the device via a spring loaded cable and placed for better pickup. Smartphones make great navigation devices, but trying to read the things while they slide about on the dash or peek out of a cupholder is a massive pain. The Minikit solves navigation woes. It’ll hold your device in plain view and it’s integrated speaker and telescoping microphone make it so that you can actually hear directions and, of course, make hands-free calls. What’s Good: Hands free works great and device’s finish and build ooze quality. What’s Bad: The combination of the cradle and the smart phone makes the whole package quite heavy, be sure to clean your windshield well before mounting and you shouldn’t have a problem. The Minikit Smart works as advertised. Hands free dialing, calls, and navigation work great.